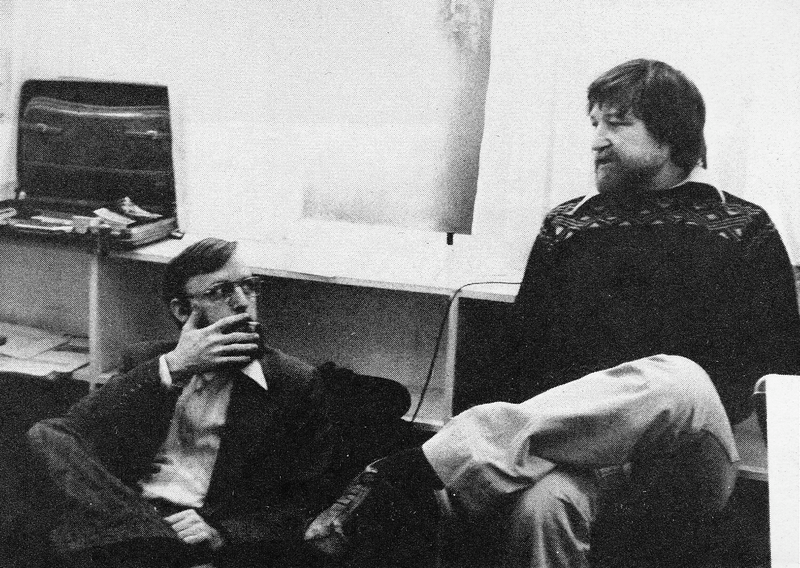 Is it that Dan O'Bannon and Ron Cobb can be found talking about work related problems in a photo of the two of them sitting in the art department, Dan is smoking a cigarette. 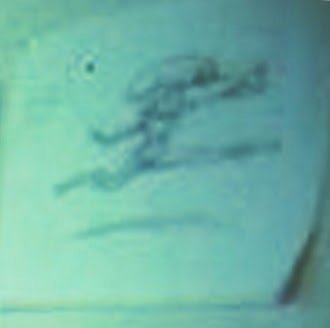 There are numerous photos of the room to be found and very slowly they begin to add up into a room in with dimensions that can be guessed. 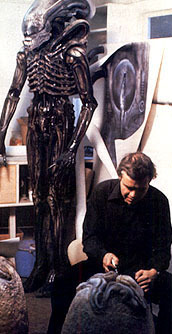 It has various low shelves against the wall, and tables that can be pulled around. 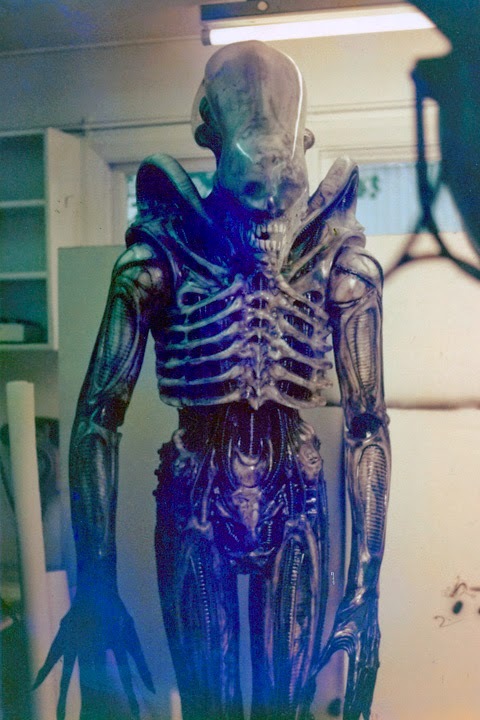 It is lit by long fluorescent light bulbs across the ceiling. 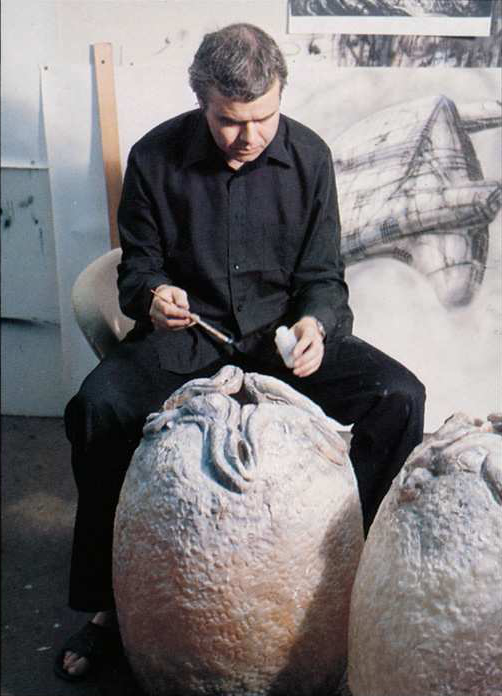 Dan O'Bannon and Ron Cobb in the art department? 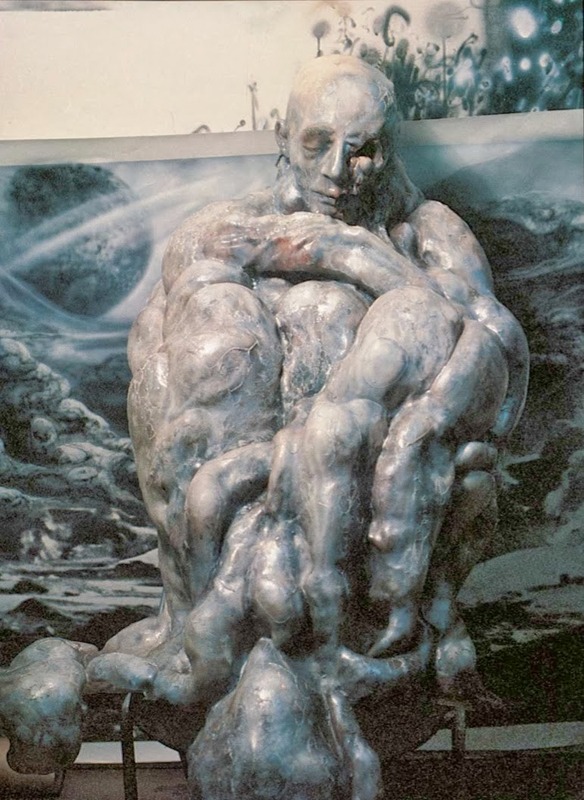 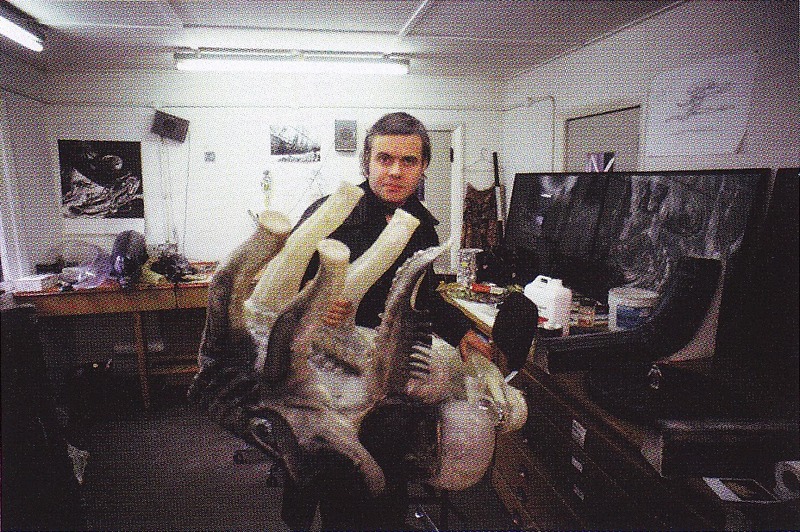 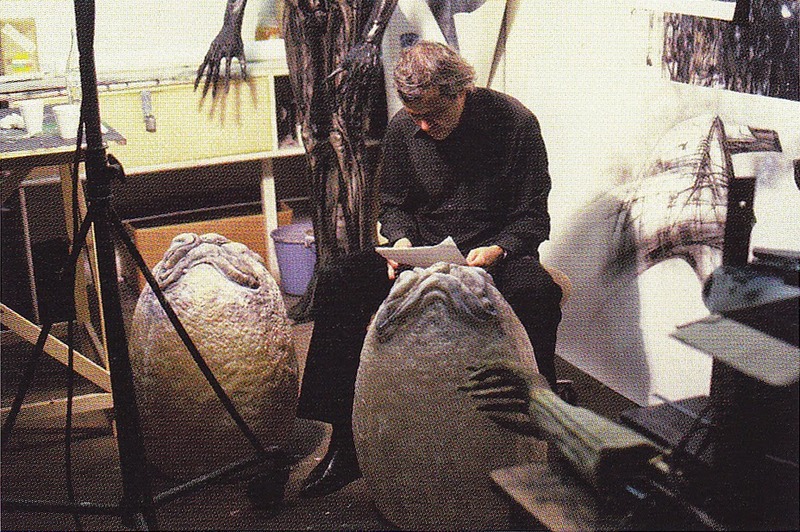 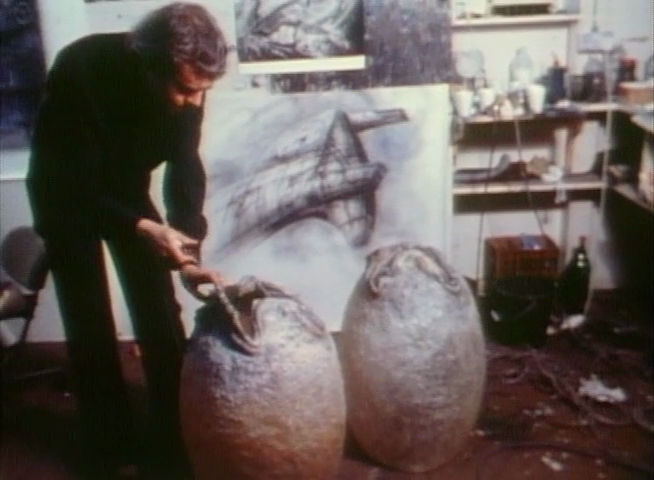 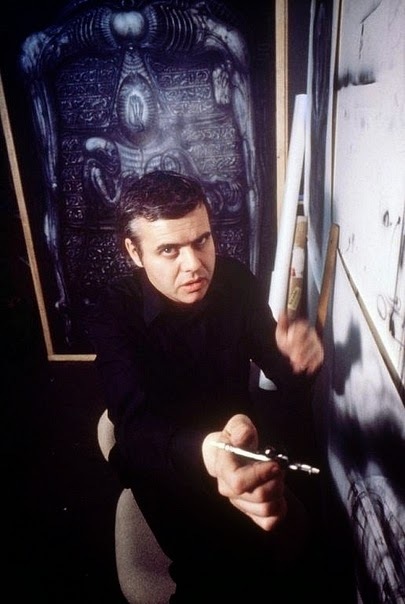 Later in August 1979, after various disgreements about the quality of work from Giger and the blame being put on Giger by Clinton Cavers for the fact that the Alien had not been finished, H R Giger had been moved away to a new studio to work in, the Art Department. At first he had no interest in this new place for him at all but Mia set it up beautifully diminishing his frustration by half. 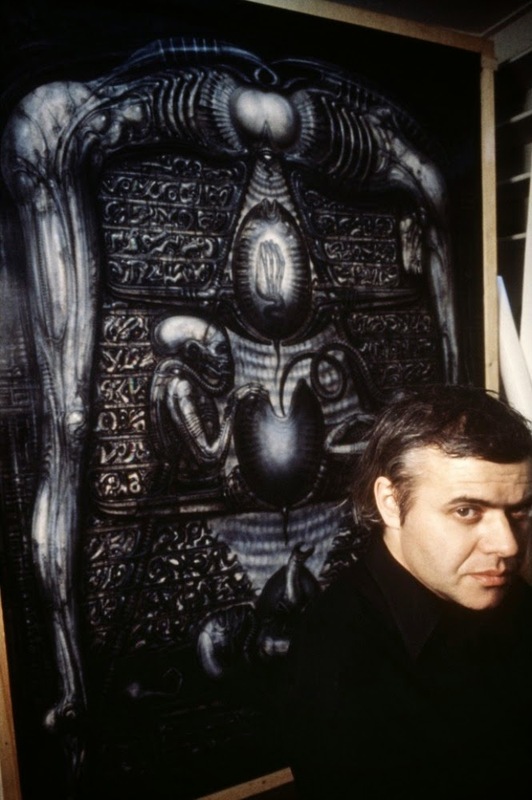 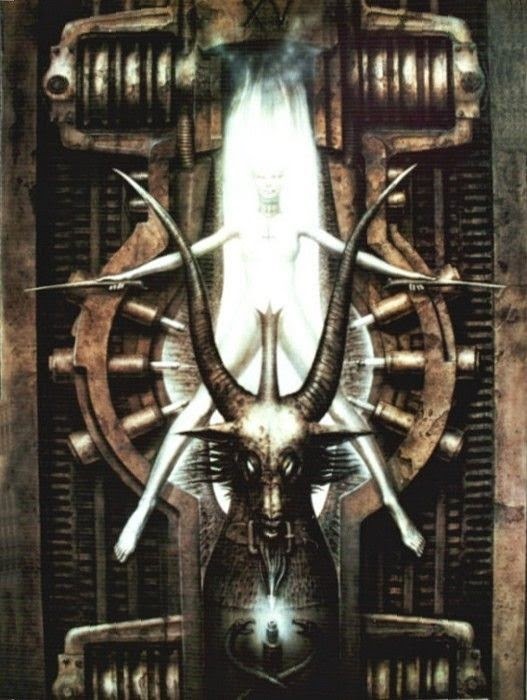 A room which Giger uses with a wall that is painted white, against the wall in the back, there is Giger's Hieroglyphics painting. 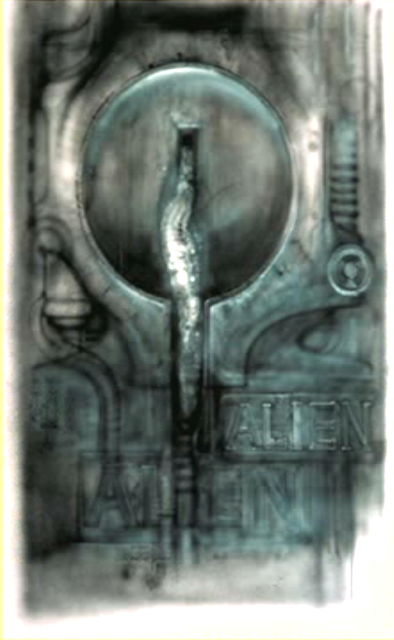 On the wall next to it but separated by a small case of shelfs is a painting that might well be a study for part of the alien's body, and he is painting the derelict ship tail fin, while sitting on a chair with pale material. 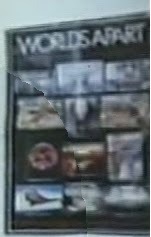 The windows have been covered over that would be found next to the shelves on the right. other end of room while airbrushing the alien suit worn by Bolaji Badejo. 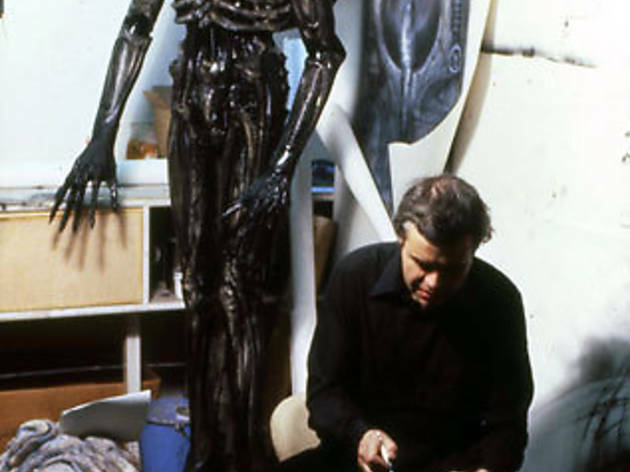 Giger carrying the alien's upper torsoe with backpipes. 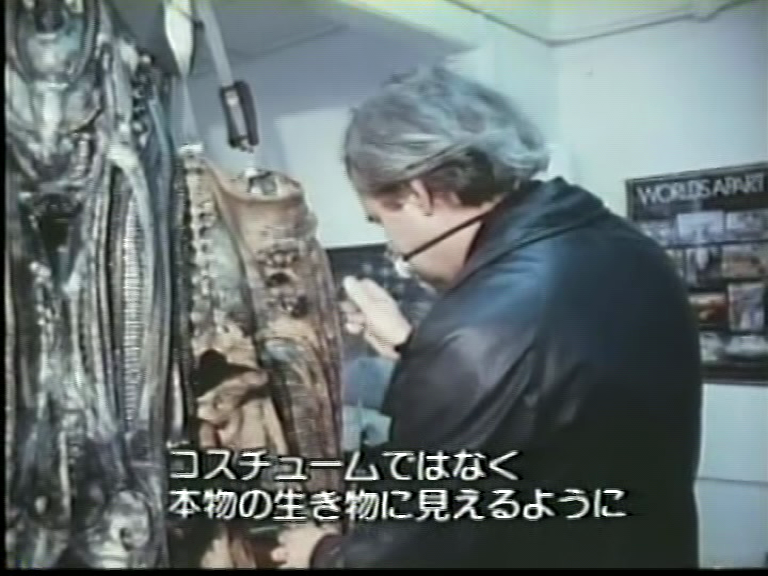 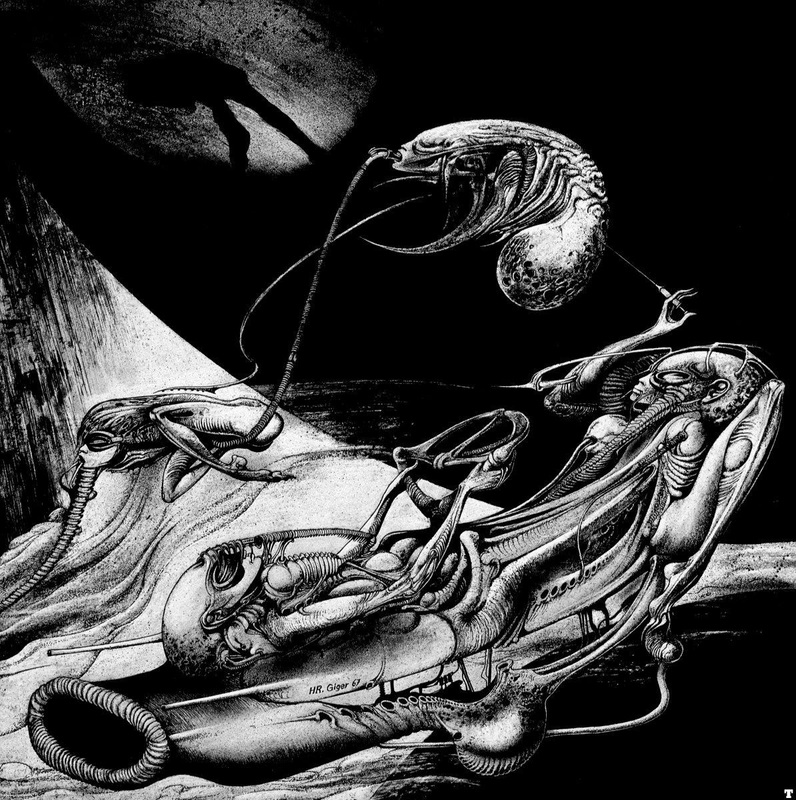 In the background on the left if Giger's drawing Astro Eunuchs. 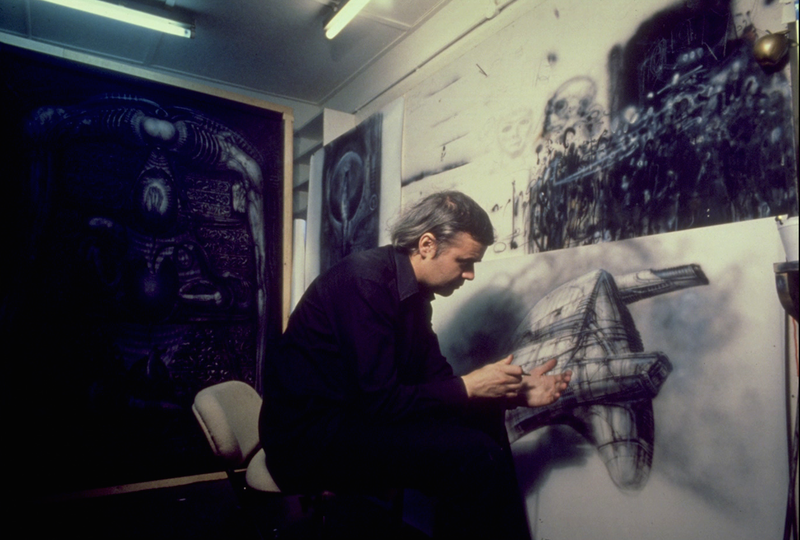 In the centre on the wall is Giger's initial derelict entrance painting.